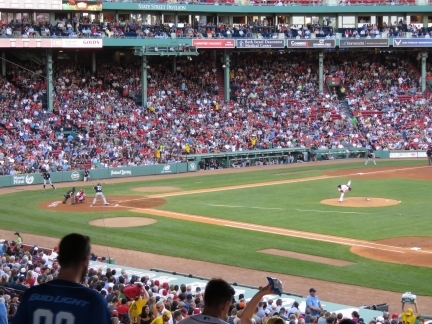 Fenway Park, built in 1912, is the oldest park in Major League Baseball and catching a game there is on most “Top Ten Things to do in Boston” lists. We spent an exciting evening visiting the park and watching the Red Sox play at this historic venue. 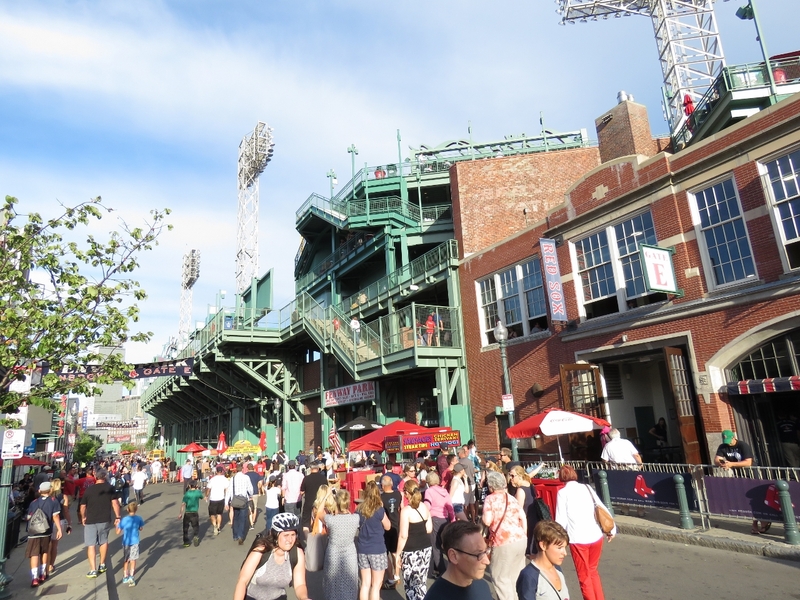 Following the crowds into historic Fenway Park to take in a Boston Red Sox baseball game. Looking down Landsdown Street behind the outfield. The stadium actually extends over the road. The 37’2″ “Green Monster” left field wall at Fenway Park. 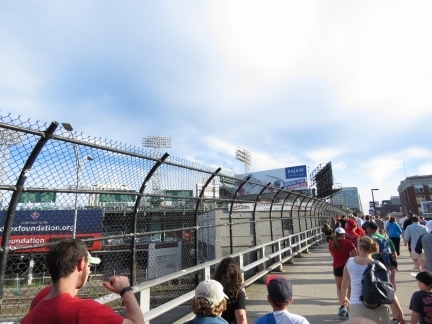 Designed to hide the field from external viewers and reduce easy home runs to left field, the wall was part of the original park construction and is the highest in Major League Baseball. 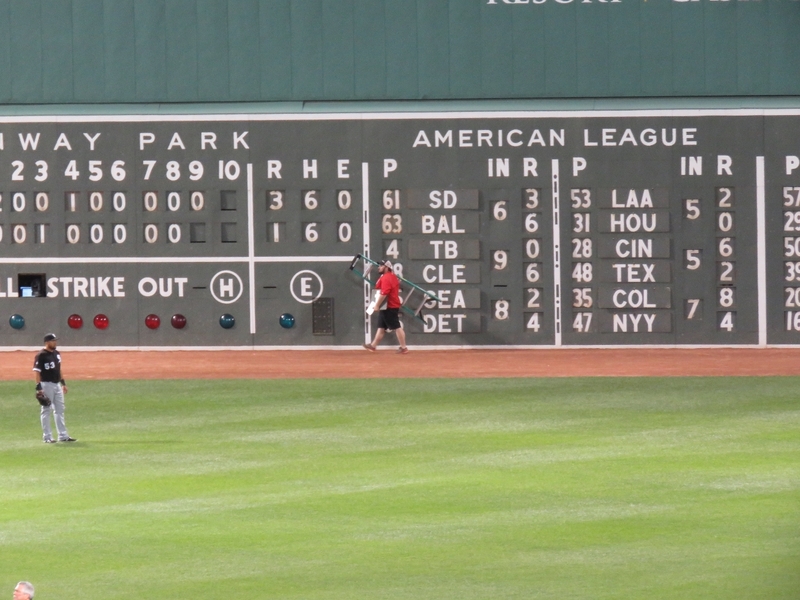 The scoreboard embedded in the wall still is updated by hand. 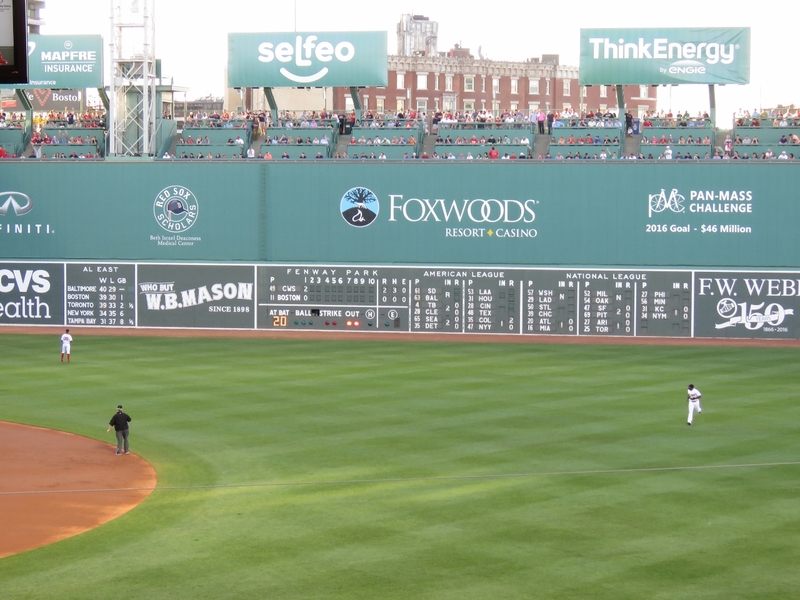 Home game and American League scores are updated from behind the wall, and National League scores from the front of the wall. 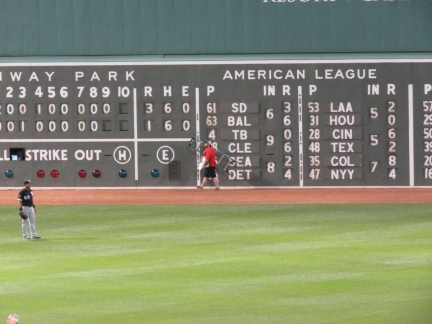 In the picture, the score keeper is returning back behind the wall through a door after updating the National league scores between innings. 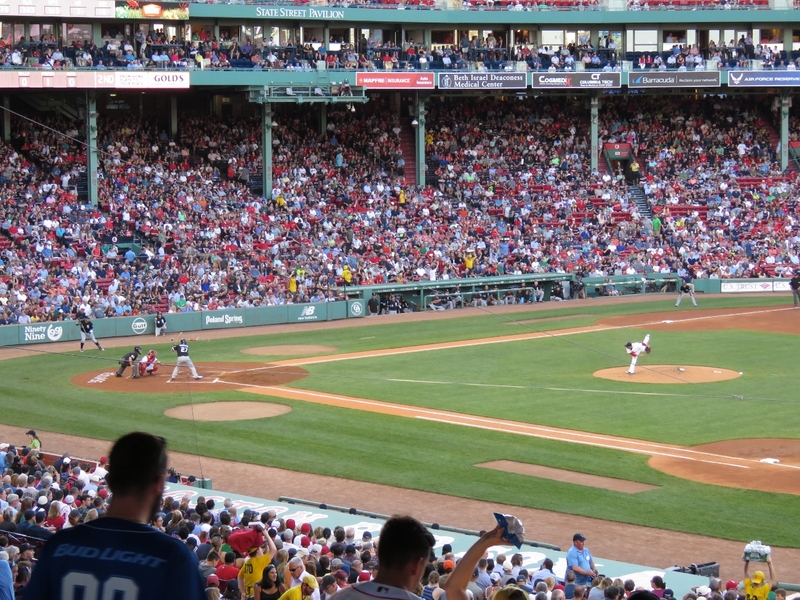 In this pitch from Red Sox Clay Buchholz to White Sox catcher Dioner Navarro the ball is just barely visible as a white streak between the third-to-home base line and the left end of the visitor’s dugout. White Sox designated hitter Avisail Garcia swings through a pitch. 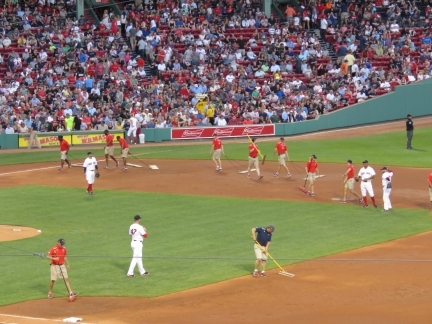 The view from our seats. 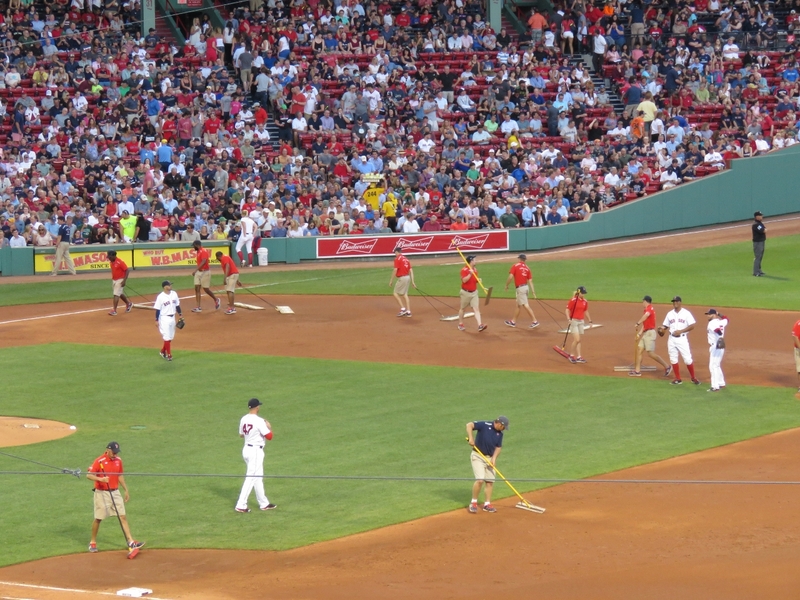 The Red Sox didn’t win, but we had a super-fun evening.